Get 20% Off of Your First Month of Syncro! You must be a first time Syncro customer in order to claim this discount. Sign up for a free 30-day trial of Syncro here. 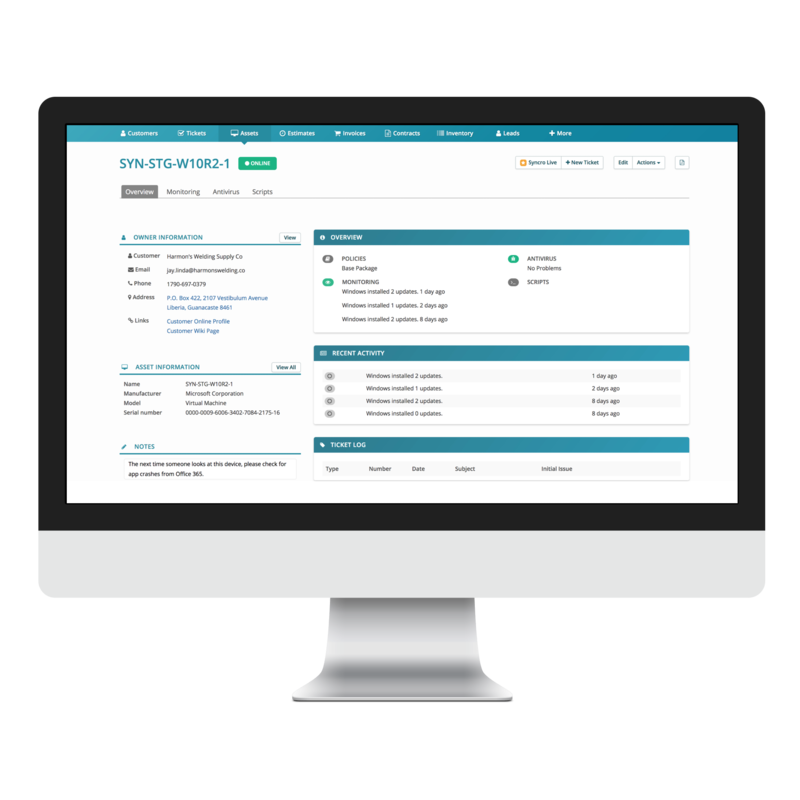 Syncro integrates with your favorite apps – like QuickBooks, CloudBerry Backups, and MailChimp – so you can eliminate the double data entry and re-invest that precious time into your business. 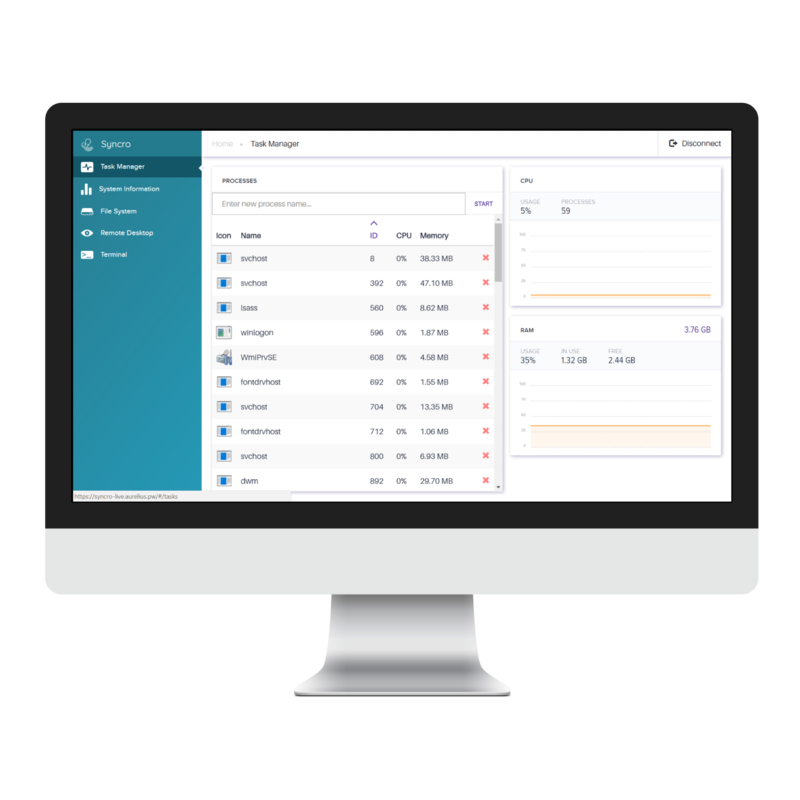 We switched to SyncroMSP in November of 2017 as a way to consolidate our MSP operations under a single platform. We now have a single dashboard giving us instant access to clients, billing, tickets, RMM Alerts and Remote Access saving us a lot of time when helping clients. Not to mention saving us several hundred dollars a month vs what we were paying for multiple systems prior. We take advantage of the ticket automations to speed up our response times, improve client satisfaction and reduce overall costs. SyncroMSP has helped my team tremendously in just a short time.